‘3 Faces’ wins honorary award at 3rd Slemani Filmfest. Presided by Foad Jalal and organized by Masti Film Company and Mullah Bakhtiar the official in charge of supporting the festival, the inauguration ceremony was attended by several well-known Iranian artists including actors Behzad Frahani, head of the jury of the competition section of long documentaries Mohammad Reza Aslani, jury of the competition section of animation films Ravanbakhsh Sadeghi, as well as managing director of culture and art and youth of Soleymaniyeh province, Azarakhsh Farahani. 3 Faces’, directed by Jafar Panahi, received the festival’s Honorary Award at the opening ceremony. award was presented to his wife Taraneh Saeedi in his absence. 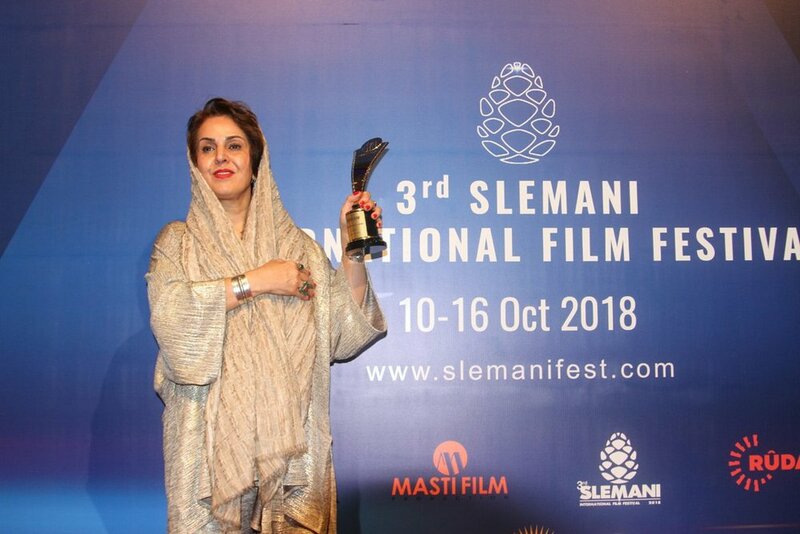 Before the award ceremony, Panahi, in a special video message broadcast in the 1000-seat Art Hall of the Sulaimaniyah, expressed happiness over receiving the award, and hailed the festival as helping with the promotion of cultural issues in the Iraqi Kurdistan region. 3 Faces’ recently won the Best Film award at the 55th Antalya Film Festival in Turkey. The 3rd Slemani International Film Festival kicked off on October 10 and will go through October 16 in Sulaymaniyah, Iraqi Kurdistan. The event features a number of Iranian titles in its official screening program, including ‘Beyond the Clouds’ by Majid Majidi, and 'No Date, No Signature' by Vahid Jalilvand, which is Iran’s 2019 Academy Awards entry.